The importance of creating safe spaces for lesbian, gay, bisexual, transgender, and questioning (LGBTQ) students in the school environment cannot be overstated. It is one of the most prominent issues facing school professionals today, and its success has lasting, positive effects on the entire student body. Drawing on the expertise of researchers and practitioners, Creating Safe and Supportive Learning Environmentsprovides a comprehensive examination of the topics most relevant for school professionals. The first section lays out the theoretical foundation and background school professionals need to understand the social and political trends that impact LGBTQ individuals, the development of sexual orientation and gender identity, risk and resilience factors, and the intersection of LGBTQ identity with other aspects of diversity. 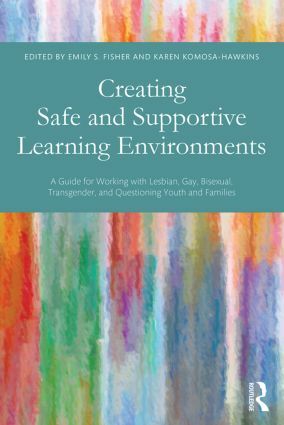 The second section explores topics critical for the development of safe, supportive school environments, including understanding legal and ethical mandates, training school personnel, addressing bullying and harassment, and developing inclusive classrooms. Special topics related to counseling LGBTQ students, supporting families of LGBTQ students, becoming an ally and advocate in the schools, and connecting with community resources are also covered. CE credit is available to purchasers of this book at www.mensanapublications.com. ByKAREN KOMOSA-HAWKINS AND G. THOMAS SCHANDING, JR.